As you guessed, I have been without Internet access for several days. Here’s a rundown. May 12: I left Ballynahinch Lake and County Galway, passed through County Mayo and stopped in County Sligo. The setting for the fourth murder, Mary and her dragon, is here in Carrowmore-a bronze age cemetery. 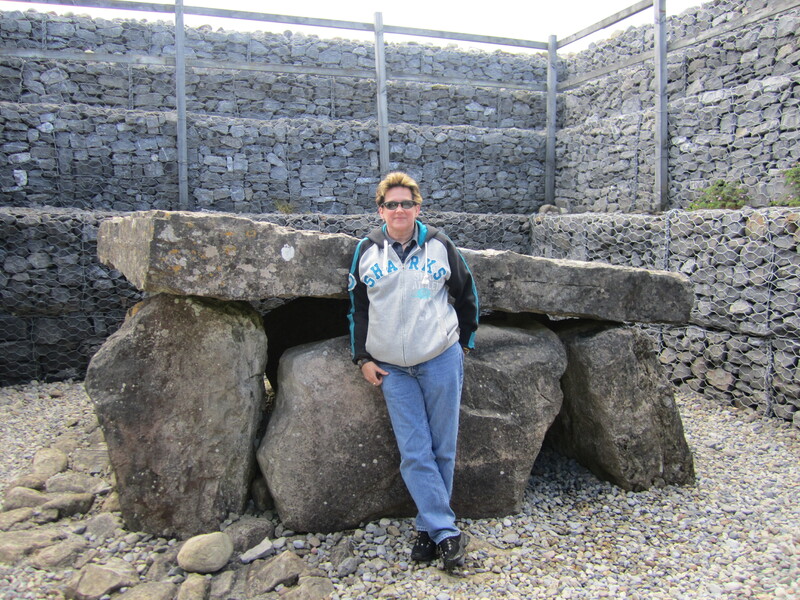 This is a cairn-the only one in the cemetary, inside is a dolmen. The cemetary also has a stone circle. This is the location on Mary’s murder, within the circle, near the Whitethorn-or-Hawthorne tree. Since Sligotown was hours away from County Meath and my final few locations, I decided to push onward and made it into Kells for the night. 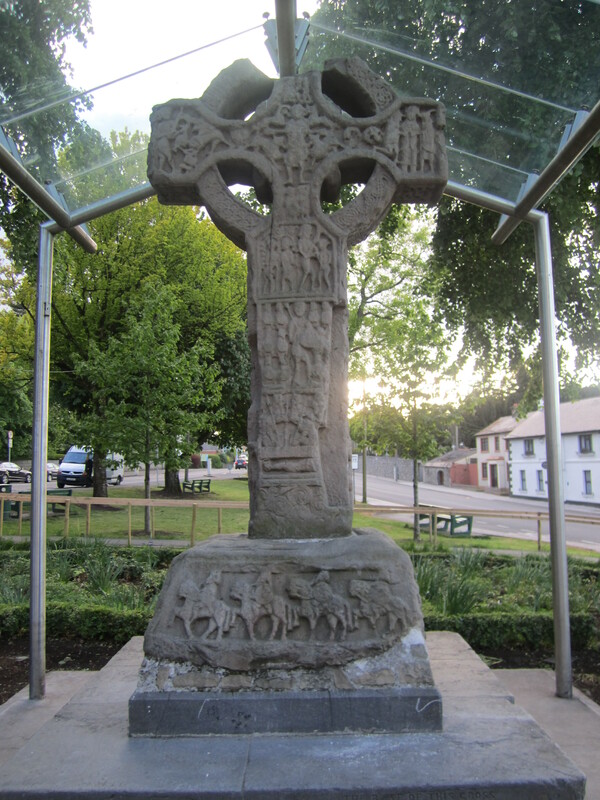 Yes, Kells, where the monks wrote the Book of Kells (currently on display in Trinity College, Dublin). 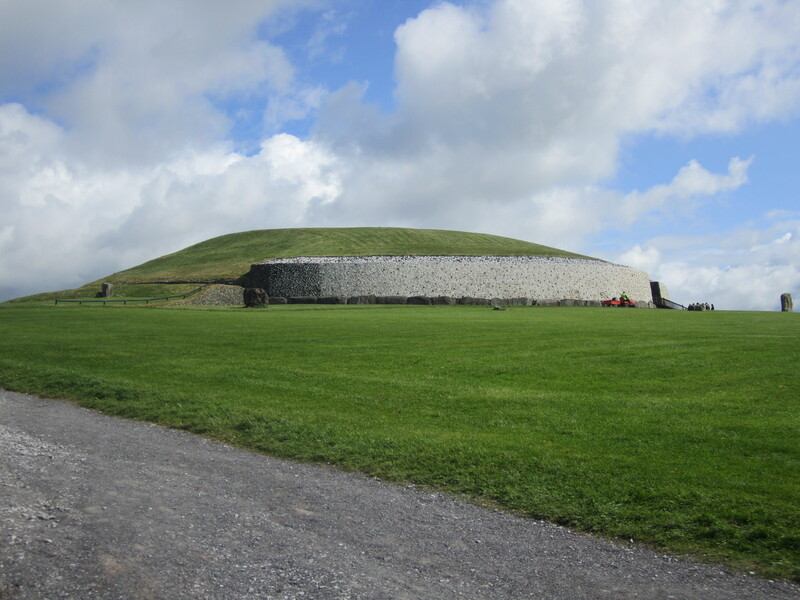 May 13: Today I toured Newgrange-where all my murder victims’ bodies have been placed. 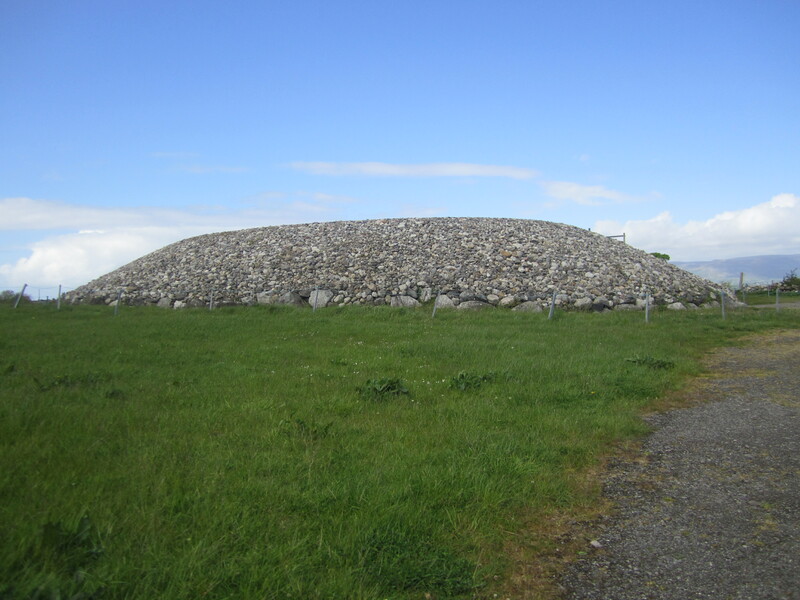 This site and Knowth and Dowth are along the River Boyne and are over 5000 years old. That’s 500 years older than the Great Pyramids of Egypt and 1000 years older than Stonehenge in Great Britain (which I will see next week). 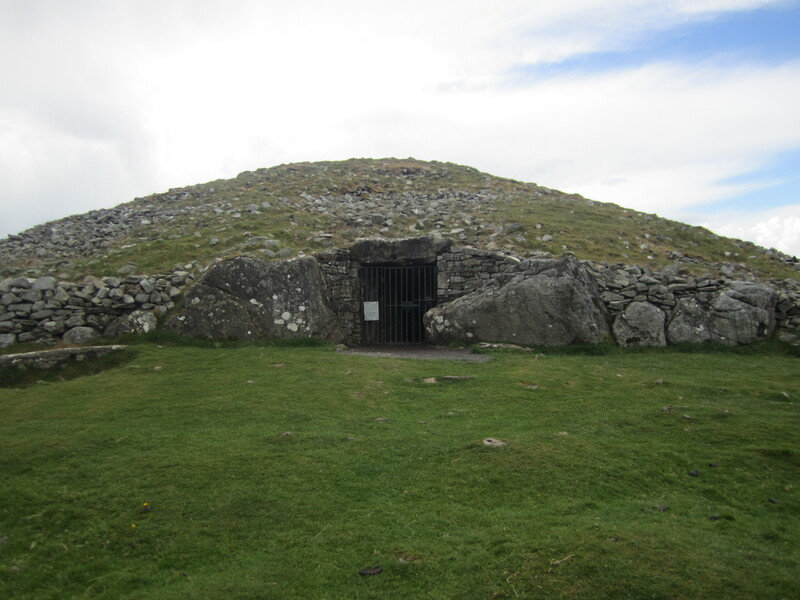 I drove back north somewhat to Loughcrew Cairn. The general area here is another Tuatha Dragon Clan compound in the book. This cairn is at the top of a hill (don’t know the height, but it’s quite a hike) overlooking many valleys with farms and forests. May 14: Today is my last day touring with the car. 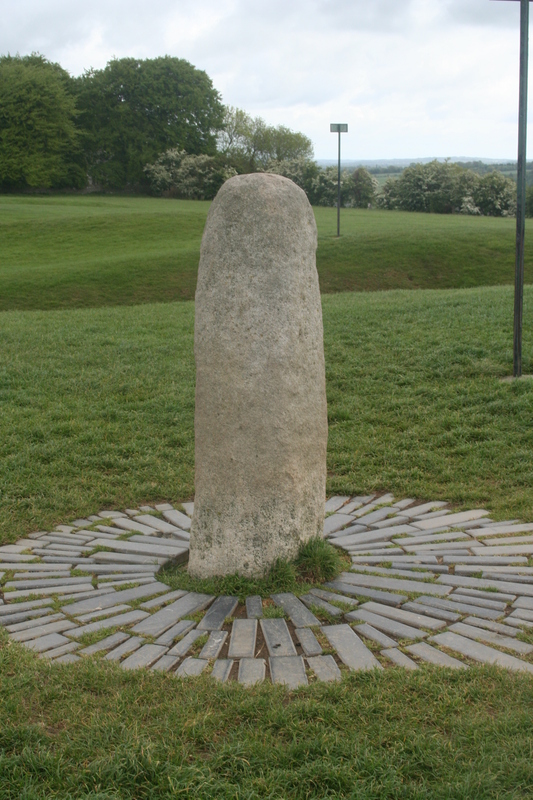 I toured the Hill of Tara, the legendary seat of Irish Kings. 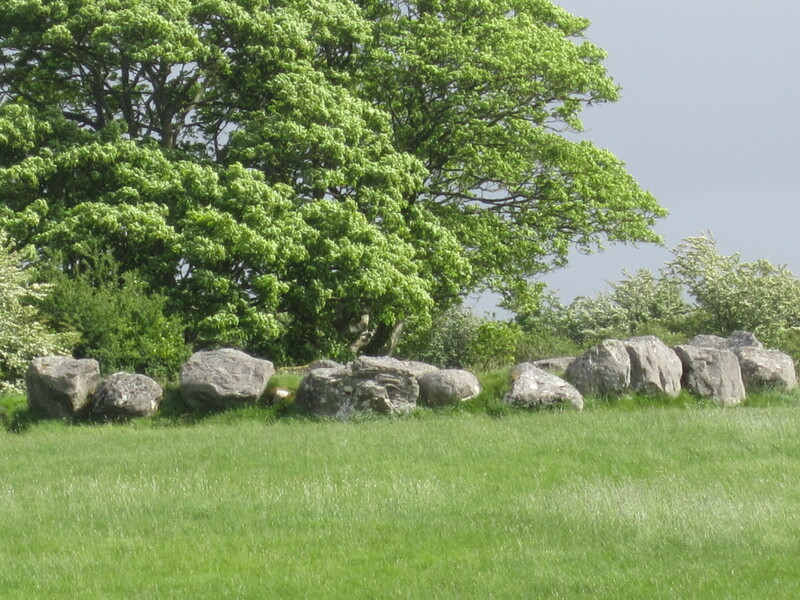 In ‘The Keepers of Eire’, the Tuatha Dragon Clan celebrate Beltaine here and hopefully the partnering of Devan and Christian with their respective dragons. But will the ceremony proceed, or will the murderer be victorious? 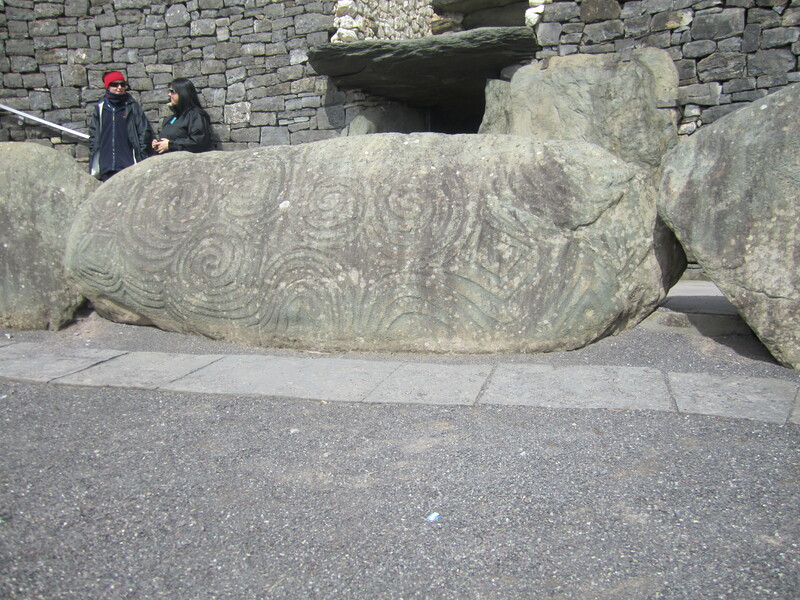 The Stone of Destiny is prominately featured on the mound next to the Mound of the Hostages. On a clear day (which I did not have) you can see more than half of Ireland from atop the Mound of the Hostages. Back into Dublin and I finally got to tour the Guinness Storehouse (remember on 4 May I tried, but was thwarted due to a bomb threat). 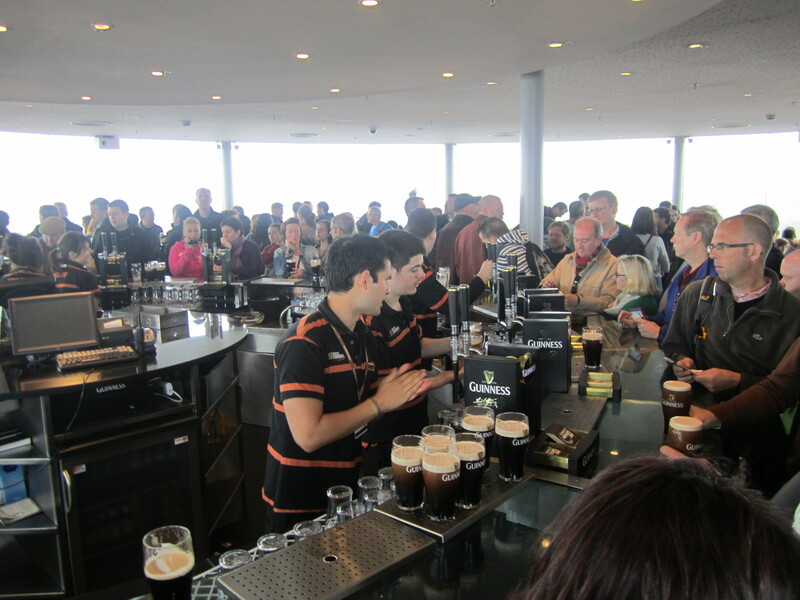 The tour was interesting and I sat with my pint in the Gravity Bar at the top of the Guinness Storehouse. There guests have a 360 degree view of Dublin. This view shows maybe 1/10 of the room. Building and exploring new worlds one cobble and inn at a time.